AFTER EXTRA TIME, 3-3 AFTER 90 MINUTES THE BUILDBASE FA VASE 1ST ROUND SATURDAY 22ND OCTOBER 2016 _______________________________________________________________________________________ ASHBY IVANHOE LINE-UP: Chris Hodge, Ali Abdillahi, Evan Cawley, Chris Nettel, Tom Rowell, Sam Johnson, Sam Kirk, Joel Carta, Danny Quinn, Kerr Horn, Ben Betteridge SUBSTITUTES USED: Josh Riley, Nick Sewell, Antonio Williams GOALS: Danny Quinn (75p, 90+3), Antonio Williams (90+5) ATTENDANCE: 121 _______________________________________________________________________________________ Ashby Ivanhoe produced a heroic last ditch comeback before falling to an extra time defeat against Central Midlands League side Hucknall Town in the 1st Round of the Buildbase FA Vase. Ashby trailed 3-1 heading into stoppage time before goals from Danny Quinn and Antonio Williams forced an extra 30 minutes. A well worked goal in extra time though gave the visitors the victory and a place in the second round. It was the first time that Ashby have ever played in the first round of the FA Vase and in the opening 20 minutes they looked the most threatening with really troubling the Hucknall goalkeeper with the best effort of the opening exchanges coming for the visitors when a snap shot from around 30 yards was just wide of the far post. The opening goal of the game came on 19 minutes and it was unfortunate for the home side following their good start but after keeper Chris Hodge had made a save the ball spun upwards and towards goal and Hucknallâ&#x20AC;&#x2122;s Adam Nelson beat the Ivanhoe defender to the ball to head home from close range. As a deluge hit the NFU Sports Ground the visitors doubled their advantage just six minutes later when poor defending resulted in a player advancing to the bye-line before pulling the ball back into the area and a shot from Jamie Crawford found the net for 2-0. Ashby had a great chance to reduce the deficit just after the half hour mark when a cross from the right found its way to the back post but the shot from close range was blocked and a couple of minutes later and Hucknall went close to increasing their lead when they broke forward and after the ball was played square the shot struck the outside of the post leaving the score at 2-0 at the break. The start of the second half saw a couple of chances for Ashby inside the first 15 minutes with firstly a floated effort at goal from Sam Kirk was just wide of the near post before right back Ali Abdillahi found himself inside the area and sent a shot goalwards which forced the Hucknall keeper into good save. 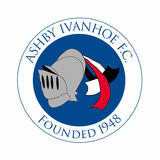 With the clock ticking down Ashby needed a goal quickly and on 75 minutes they were awarded a penalty. It came from a good move forward which saw a ball passed through the defence for substitute Josh Riley to run onto and although his lobbed effort went over the bar the referee pointed to the spot as he was brought down by the goalkeeper. Upstepped Danny Quinn to power his spot-kick down the middle and make it 2-1 and set up an intriguing final quarter of an hour. LATEST MATCH ACTION The final thing Ashby needed though having got back into the match was to concede quickly and that is what they did when they failed to deal with a ball to the back post and the ball was pulled back for Jordan Phillips to apply the finish and restore their two goal advantage. Nobody inside the NFU Sports Ground expected what was to happen inside the final minutes though and as the match entered stoppage time it looked all over for Ashby, trailing 3-1, but in the third minute the ball struck the bar and Quinn was there to head home and make it 3-2. Ashby then immediately pushed forward from the restart and won a free kick close to the right touchline. Before the kick was taken they made their final substitution bringing on Antonio Williams to add some height inside the area. The ball into the box wasnâ&#x20AC;&#x2122;t dealt with by the visitors and the ball fell to Williams and he struck a first time effort which found the bottom corner of the net sending the home fans wild and leaving the Hucknall players and supporters stunned. The referee blew the final whistle seconds later to end a thrilling 90 minutes with the teams locked at 3-3. It wasnâ&#x20AC;&#x2122;t to be for Ashby though in extra time and just before the end of the first period they fell behind again when a free kick from half way was hit long into the area and at the back post the ball was headed back into the danger area for Adam Nelson to fire home first time for his second goal of the match and put Hucknall 4-3 up. There was to be no more late heroics from Ashby with Hucknall advancing through to the next round. IN OPPOSITION TODAY The season saw a remarkable 8 game winning run in the FA Vase leading to a Semi Final tie against West Auckland of the Northern League. After a pulsating goalless draw in the North East, the Second Leg was played out at Canal Street in front of a record crowd of just over 1,600. A terrific strike on the hour by 17 year-old Brady Hickey put the Drews ahead. Sadly two West Auckland goals in the last ten minutes denied the club a Vase Final and a dream trip to Wembley. The exertions of the incredible Vase run had taken a toll on the league. However for only the second time in our history, a very tired St Andrews side won the Leicestershire Senior Cup to end an incredible season. The 2014-2015 season was another unforgettable season, playing scintillating football all season, the team looked like worthy champions only to be a pipped in controversial circumstances to the title by Bardon Hill on goal difference.. With Pepsi and his backroom team of Tony Maisto as assistant, coaches Jamie Sharpe, Jason Genders and Tom Orton, and physio Grace Westbury, the first team squad look to be in capable hands. With ground development now ongoing and extra committee members joining the club, the future of the club looks promising.